Actually today is my husband's birthday and on Friday evening I decided to throw him a surprise party. So much fun I had planning and organising the party. But as a result I was too busy the whole day. I cooked and cooked, baked a cake, went shopping for party decorations including balloons and did up our sitting room with some friends. Even now we have friends at home, but I decided to sneak up to my blog and quickly do the post. 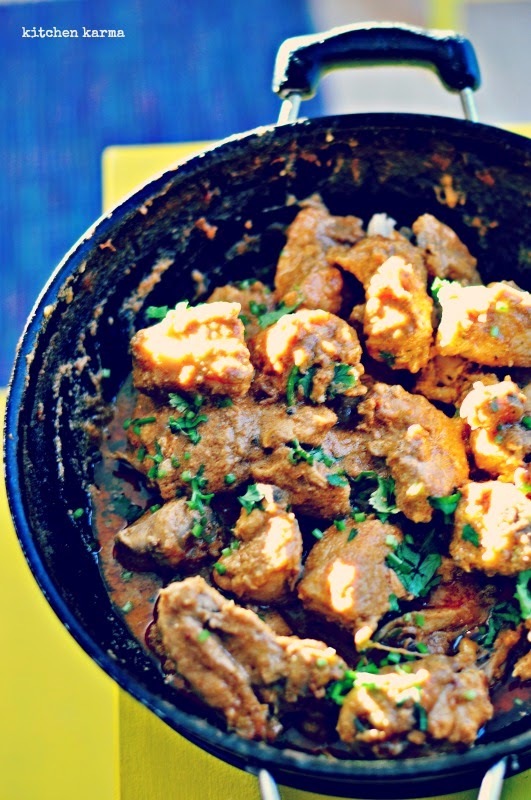 Today I am sharing with you a chicken curry I made for the party. It is a really easy one, yet tastes great. Will share the recipe soon on the blog.